Home - Albert & Son Plumbing LLC. Reliable plumbing service since 1985. We are not just Plumbing Company. We are who cares about our customers. From a leaky faucet to a brand new bathroom, Albert & Son Plumbing, LLC offers professional plumbing service and installation. Emergency plumbing repairs are handled quickly and efficiently when you need us. 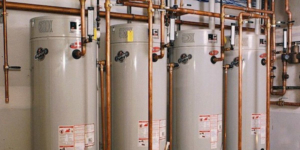 Albert & Son Plumbing, LLC professionals repair and install all makes and models, gas or electric. Albert & Son Plumbing, LLC offers state-of-the-art technology and video inspections that can pinpoint your sewer problems quickly and efficiently. Our trenchless technology allows us to attend to your sewer problems from one or two small access points which means quicker repairs and minimal disruption to your landscaping, yard, or driveway. 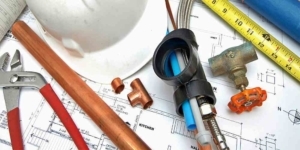 Since the company was founded in 1985 quality plumbing in residential, multi-family, and light commercial have always been a priority and we plumb more houses, apartments . 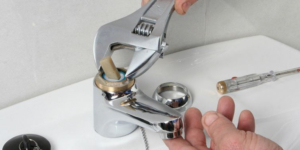 With over 30 years experience in plumbing services, you can trust Albert & Son Plumbing, LLC. for your home and business plumbing needs. Servicing Charlotte, Matthews, and the Monroe areas, you can count on Albert & Son Plumbing, LLC. Albert & Son Plumbing, LLC is a 2nd generation family owned business with an A+ rating with the Better Business Bureau and on Angie’s list for 2 years running. 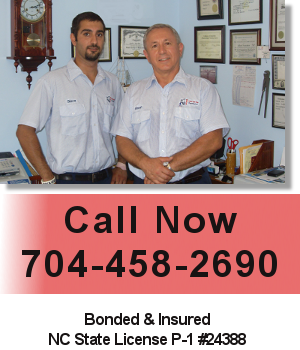 We are proud to provide top-rated, licensed and insured plumbing services for the residents of Charlotte, Matthews and surrounding areas for over 30 years. Whether you need help with repairs or replacement of your pipes and fixtures, updating your kitchen or bathroom, in the need of water heater replacement, sewer line or water line service repairs or replacement Albert & Son Plumbing, LLC is a full service plumbing company known for providing quick, professional and accurate service so that our Customers home interruptions and inconvenience to their family is kept to a minimum. For those times when the unexpected happen… Albert & Son Plumbing, LLC is there for you for your emergencies.